Dot was born in Kilauea, Kauai, Hawaii. She received her B. Ed. 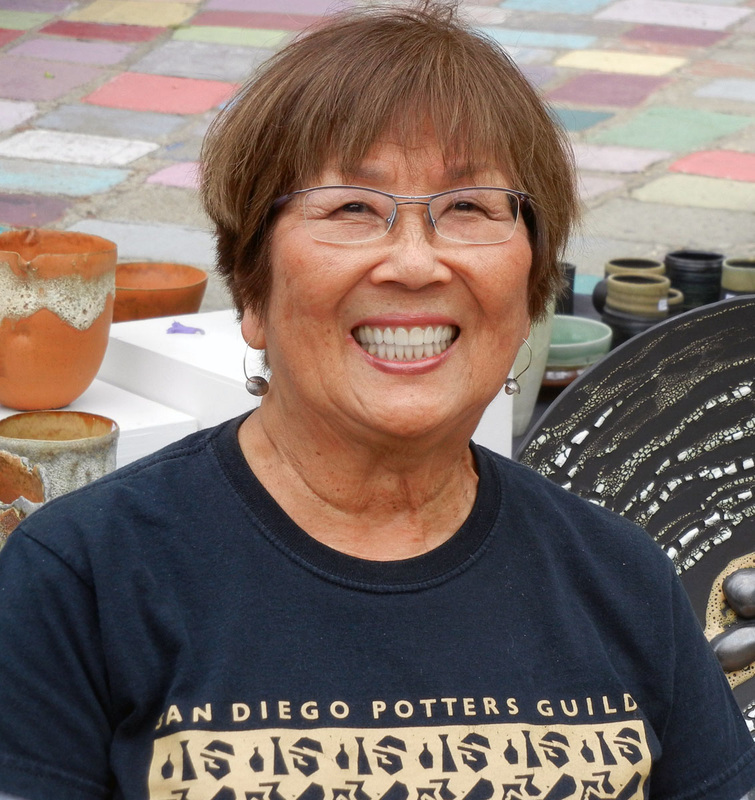 from the University of Hawaii in Honolulu, after which she pursued a career as a Dental Hygienist and took ceramic classes wherever her path took her: Honolulu, Los Angeles, and San Diego. Her ceramic works appeared in three of Robin Hopper's books: Clay and Glazes for the Potter, 3rd edition 2000; The Ceramic Spectrum, 2nd edition, 2001; Making Marks, 2004. In 2011, she was the featured artist in the San Diego Home/Garden magazine, June 2011 issue. A lifetime practice of meditation and tai chi ground her work.